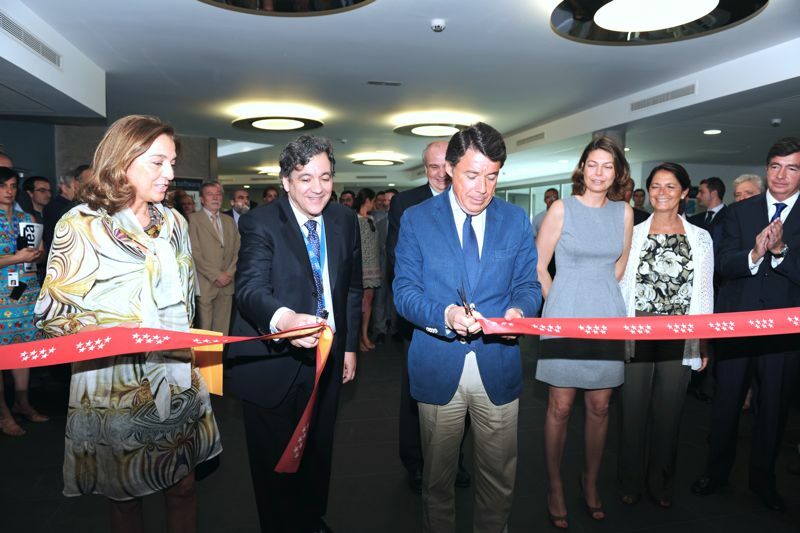 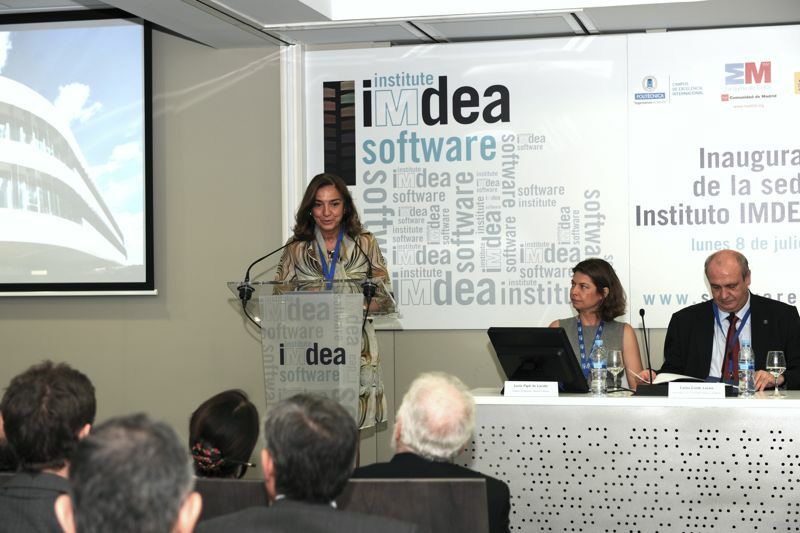 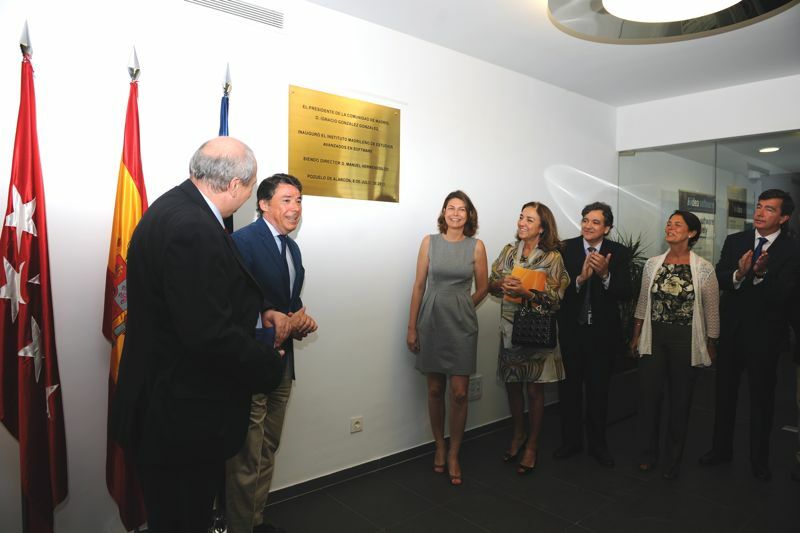 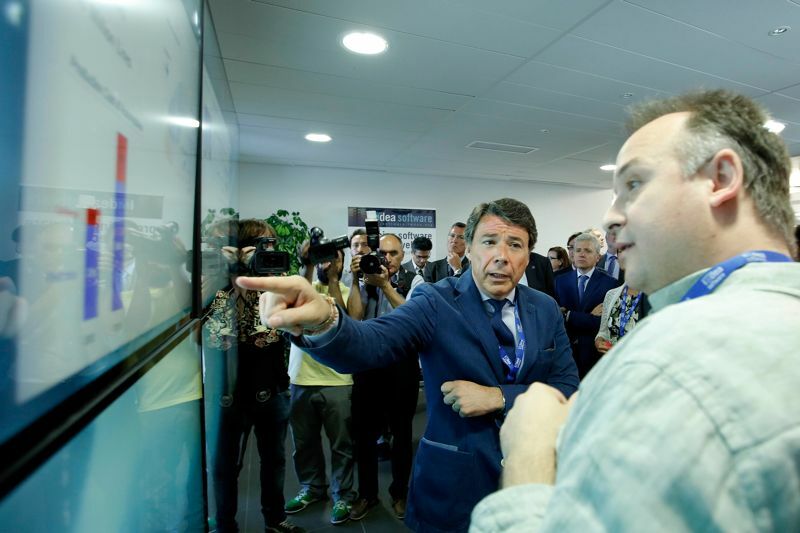 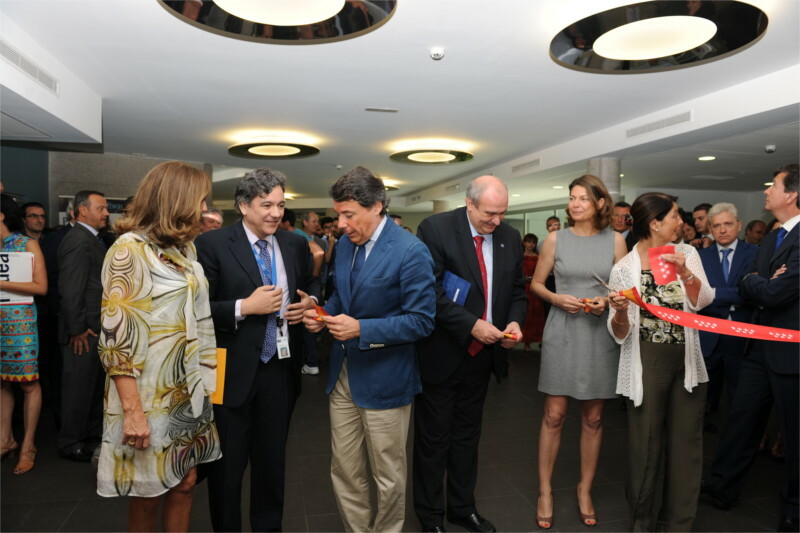 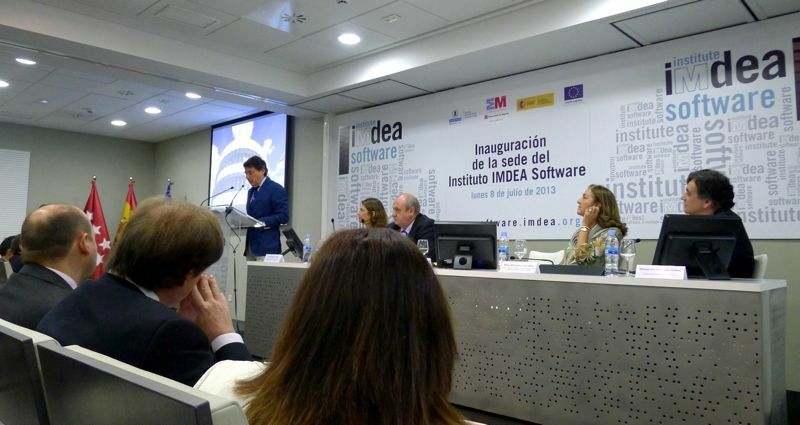 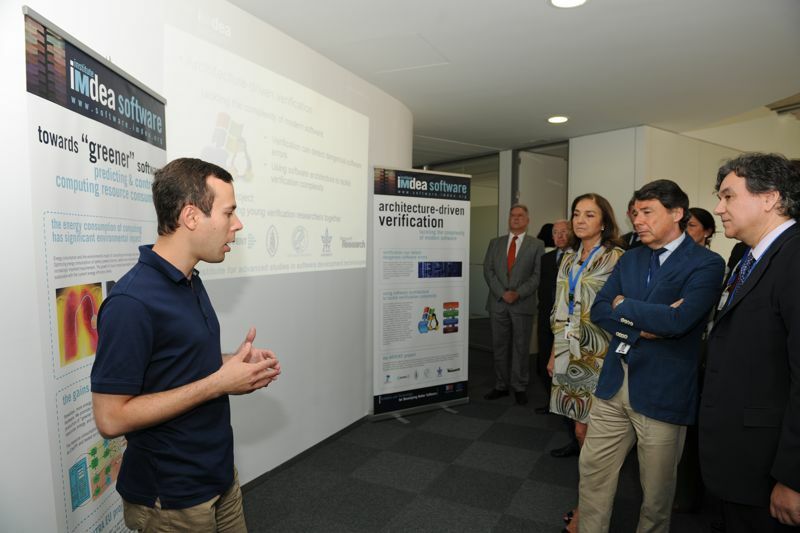 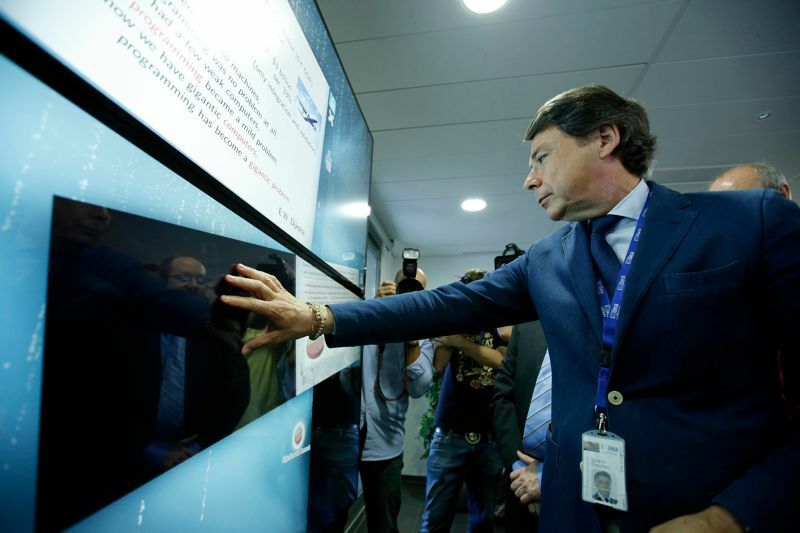 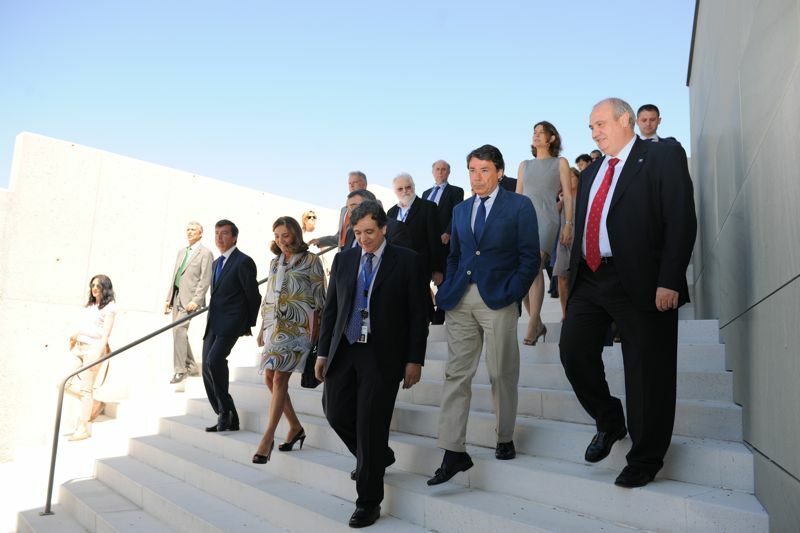 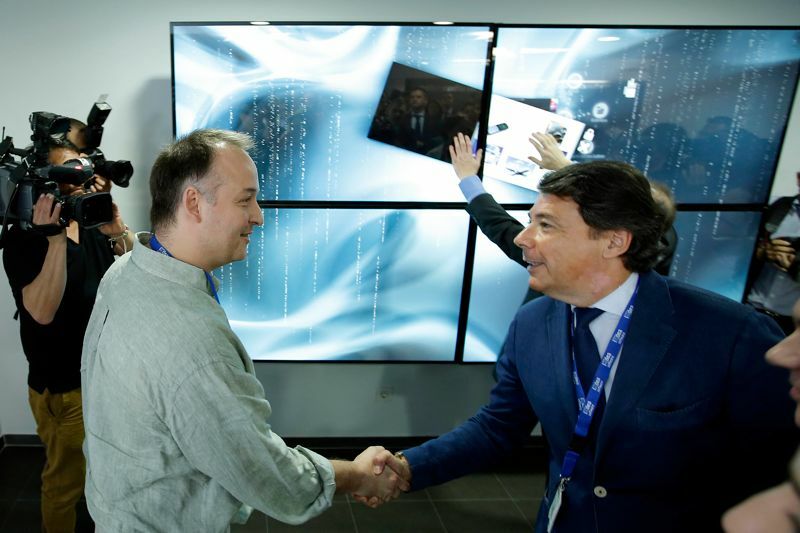 The president of the Autonomous Region of Madrid, Ignacio González González, presided over the official opening of the building of the Madrid Institute for Advanced Studies in Software Development Technologies (the IMDEA Software Institute), which took place on Monday July 8, 2013, at noon. 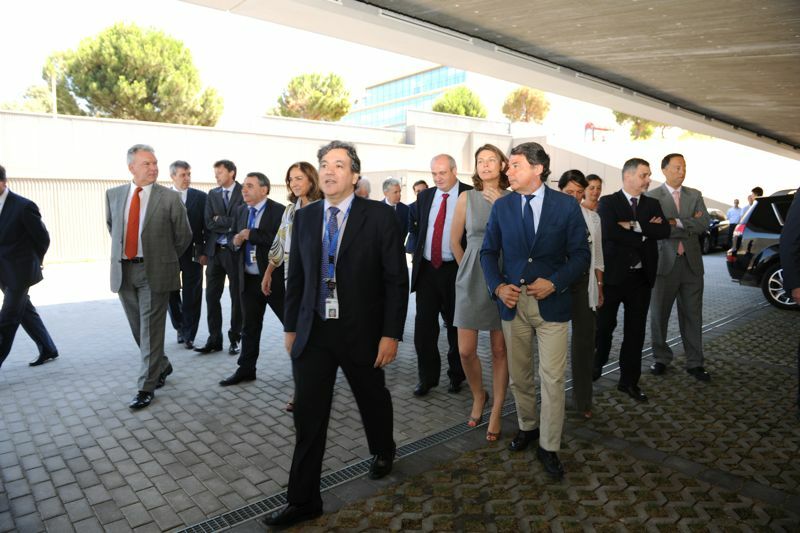 The president was accompanied by the Secretary of State for Research, Development, and Innovation of the Ministry for Economy and Competitiveness, Carmen Vela, the Rector of the Technical University of Madrid, Carlos Conde, and the Counselor for Education, Youth, and Sports, Lucía Figar, among other personalities form industry and science and research policy. 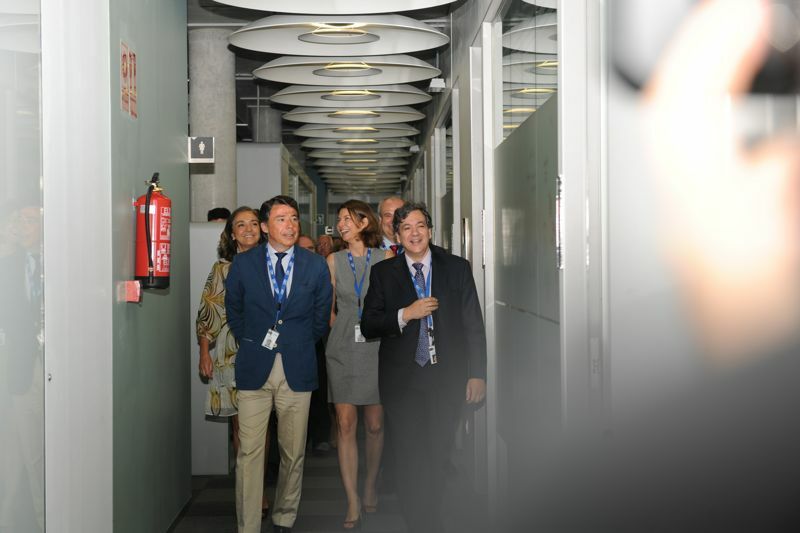 With more than 8000 m2, the Institute's new building includes offices, numerous spaces for interaction and collaboration, areas for project meetings and for scientific and industrial conferences and workshops, and powerful communications and computing infrastructures. 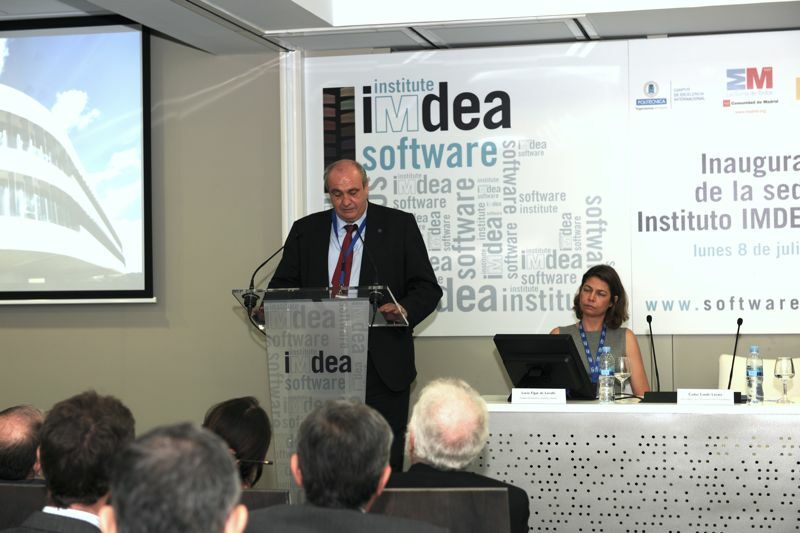 The layout facilitates the setup of joint research labs with industry and academia. 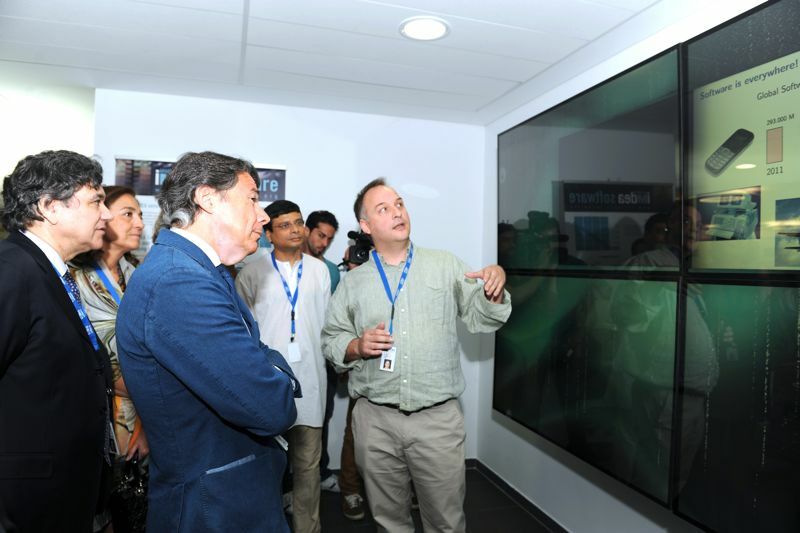 It is highly energy-efficient, through energy-conscious design, co-generation, and full automation. 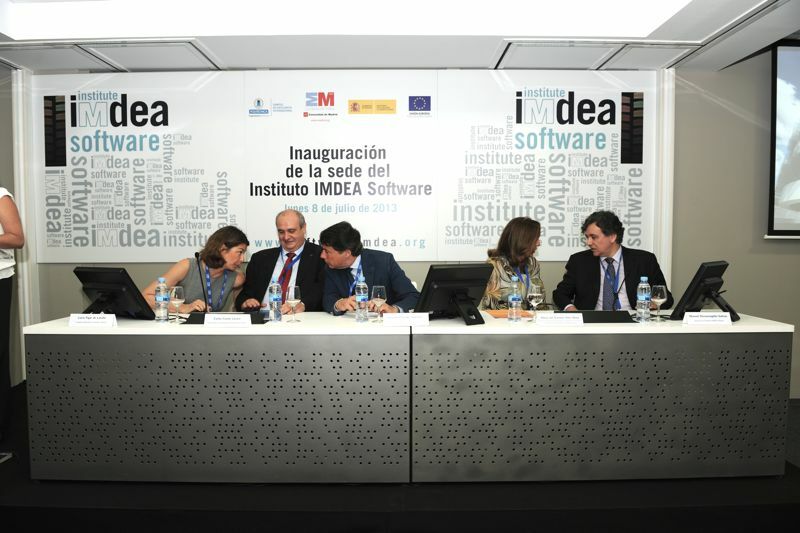 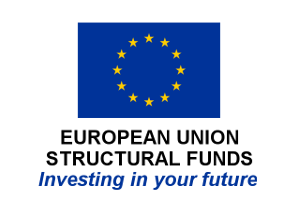 The Institute is located within the Montegancedo International Campus of Excellence of the Technical University of Madrid, next to the UPM Computer Science department, research centers, and technology transfer facilities, including a company incubator. 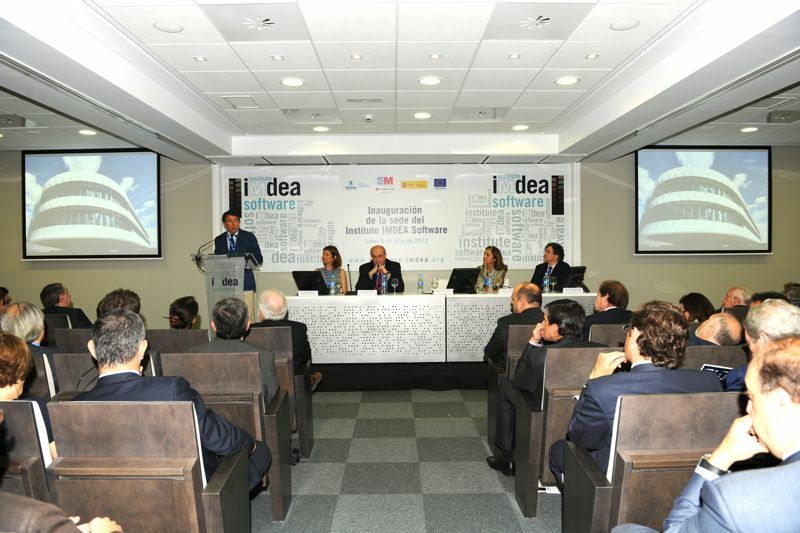 The president presented the Institute as one of the instruments that the Madrid Region uses to create an environment that is favorable and confidence-inspiring for companies, that is attractive for innovators, and that helps Madrid boost two of its well-known advantages: its competitiveness and its modernity. 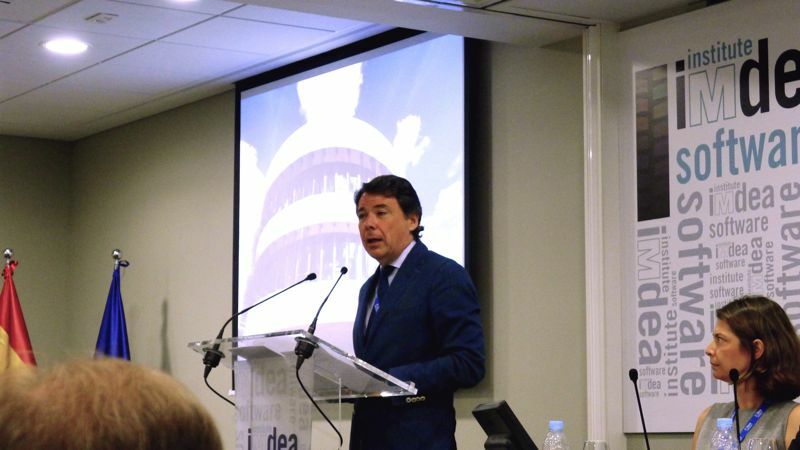 Ignacio González concluded thanking everyone for their collaboration in a common project whose goal is to make Spain a country at the forefront, with a sustainable and competitive economy and, especially, to the researchers of the Institute for having selected Spain to develop their talent.